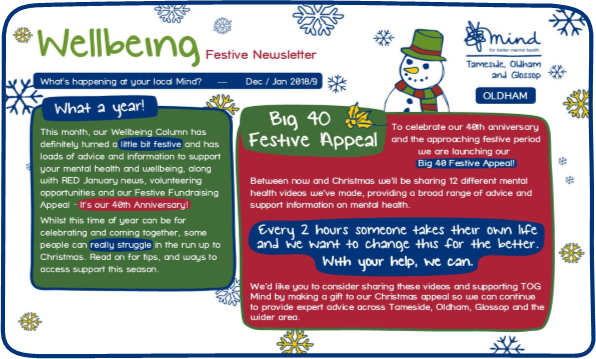 Here's the latest edition of the Tameside, Oldham and Glossop Mind Wellbeing Column! 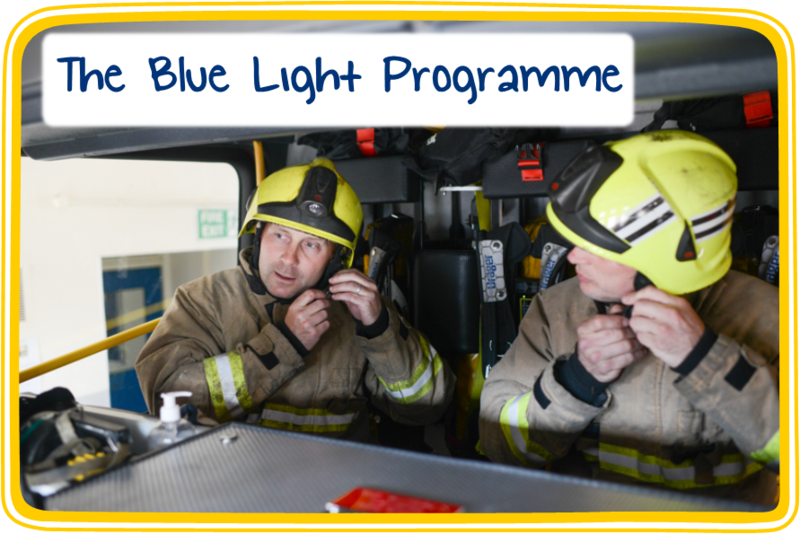 This edition is for the months of April and May. 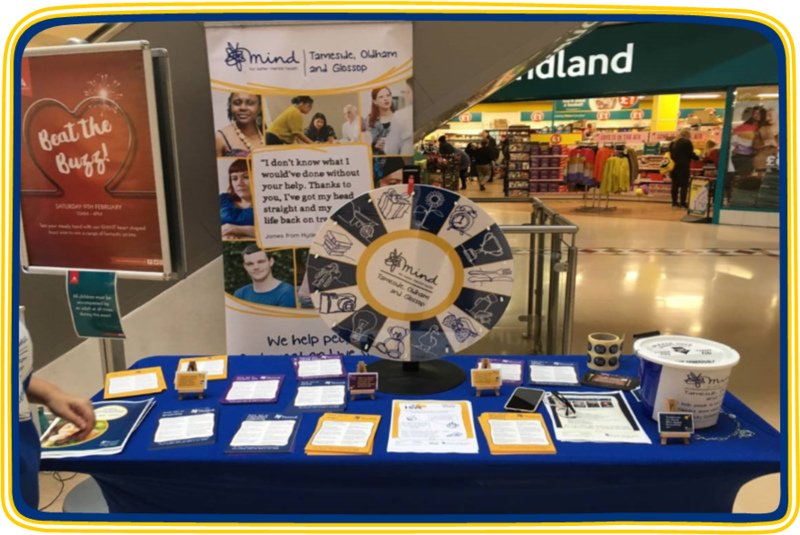 Join us as an Events Ambassador! 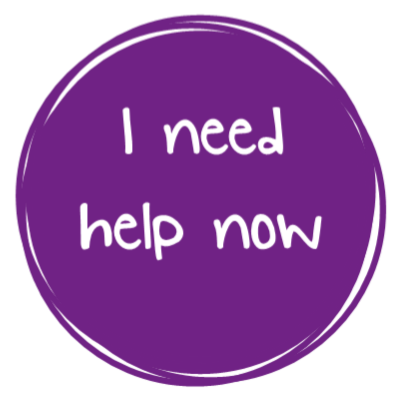 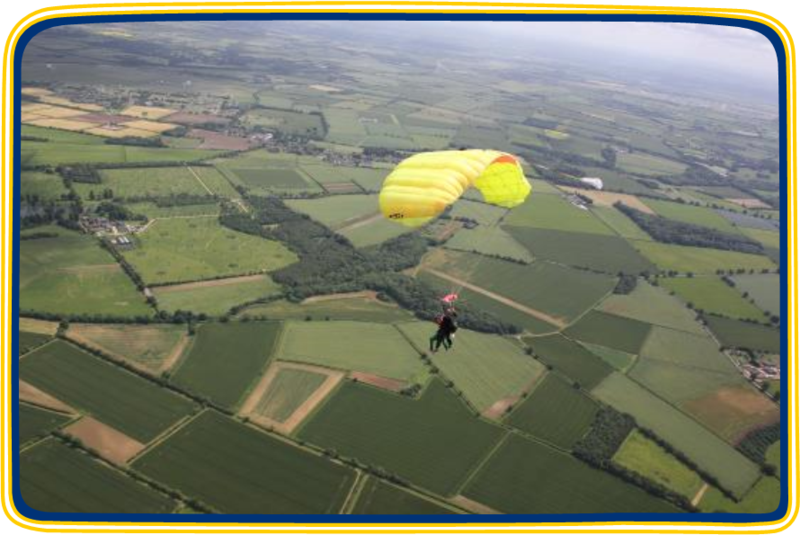 It’s time to tackle the stigma that still surrounds mental health – join us as an events ambassador! 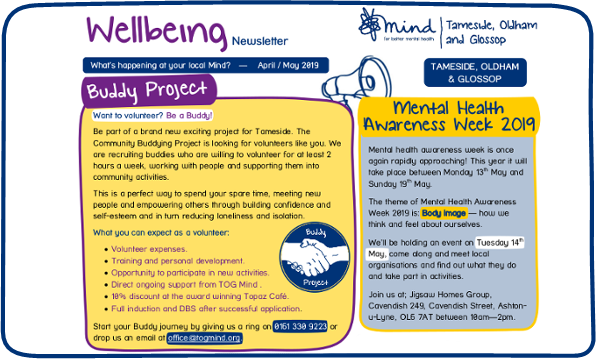 Here's the latest edition of the Tameside, Oldham and Glossop Mind Wellbeing Column! 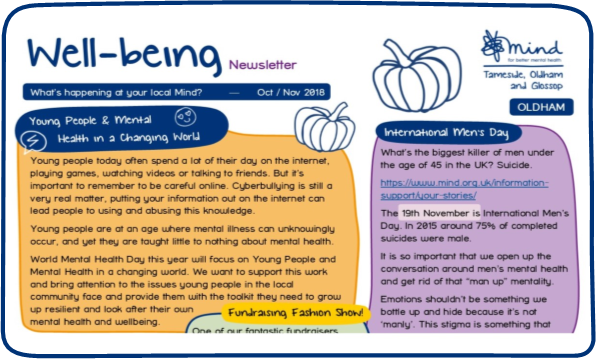 This edition is for the months of February and March. 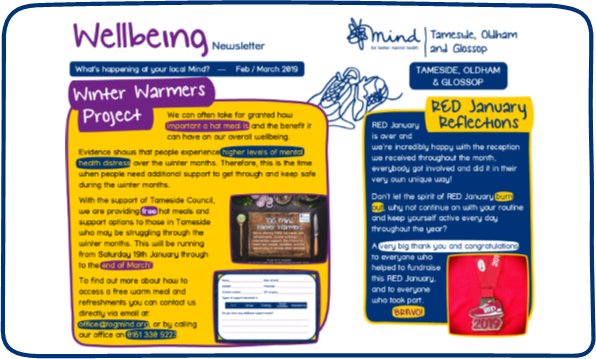 Here's the Oldham edition of our wellbeing column for the months of December and January, going into the new year! 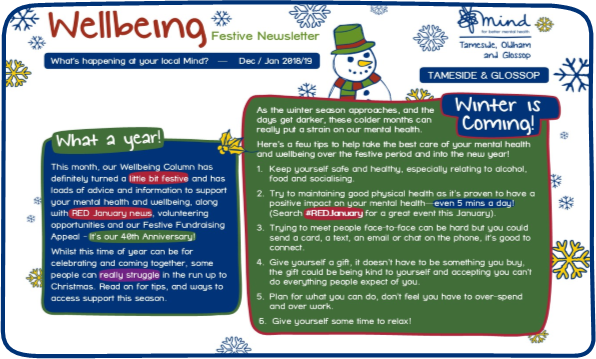 Here's the Tameside edition of our wellbeing column for the months of December and January, going into the new year! 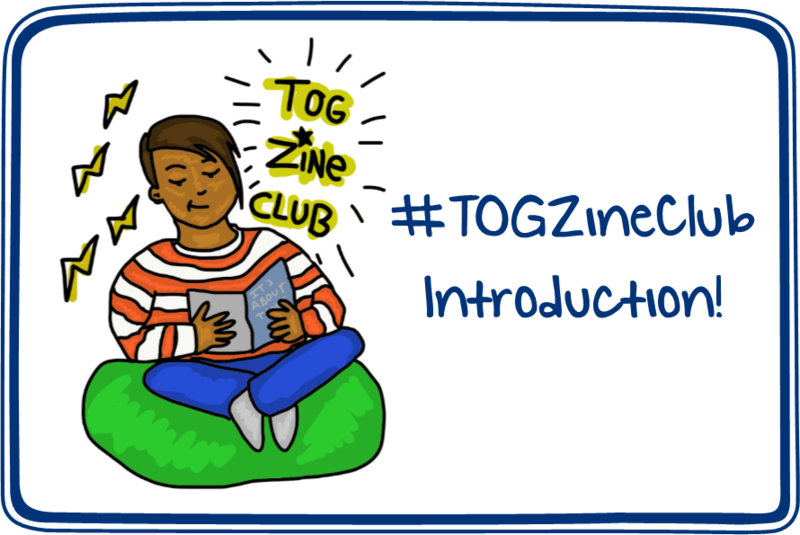 For World Mental Health Day we introduced our new and upcoming #TOGZineClub that will be coming soon to the Topaz Café! 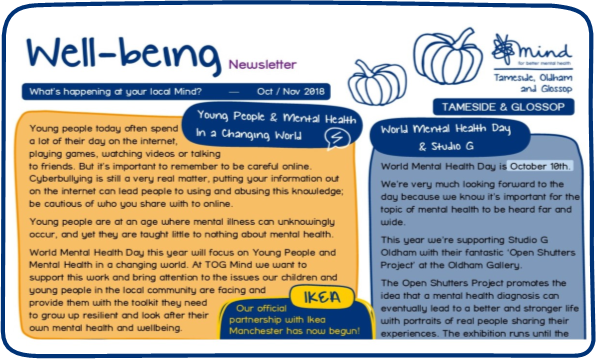 Here's the Oldham edition of our wellbeing column for the months of October & November!